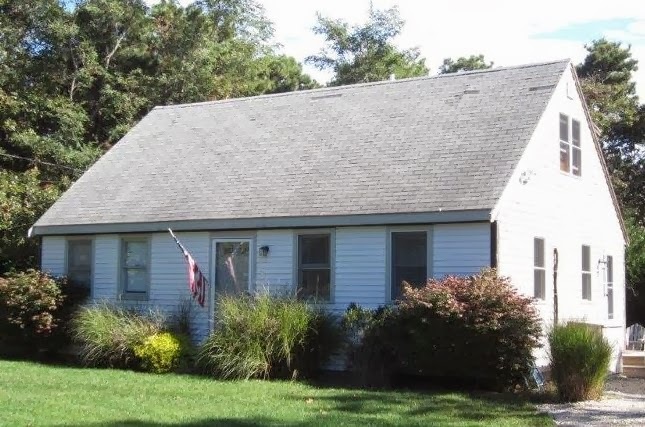 Eastham - This is a classic & updated Cape cottage, with 2 nice bedrooms, a bright open living, dining, and kitchen space and a full basement with a bonus room. Newer appliances, some new windows, new flooring, and a new hot water tank. Turn-key with all furnishings included. Ready to enjoy or rent out (a great rental with 9 wks in 2013). Large deck, lots of privacy, and a location that's close to the Bay beaches. This home is listed at $319,000. Check out more photos of this cottage at http://75BosanAve.robertsheldon.com. A Virtual Tour can be found ... Here. This house is easy to show, just give me a call! The Cape Cod Modern House Trust (CCMHT) is looking to restore another historic home in the Cape Cod National Seashore. Cape Cod Modern is a style of architecture that combined the best of modern architecture with a desire to meld with nature. 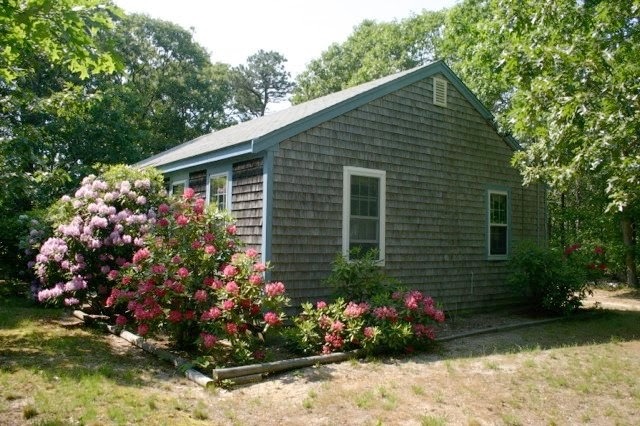 Many of these homes were built on the Outer Cape in the 1950s and 1960s in Wellfleet, Truro, and Eastham and were within what is now the Seashore. The home known as the Weidlinger Home is the next home that the CCMHT is planning to restore. Check out the following video and contribute toward the restoration. The CCMHTs website is Here. 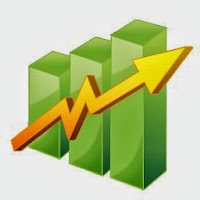 My 3Q2013 Market Report Is Available Now! My November 2013 market report is available now! This issue has my report on Eastham's sales through the third quarter of 2013. There are also several new listings and links to a number of recent articles that you'll find interesting. This newsletter has been published every month for over 10 years. My aim, with this newsletter, is to provide accurate sales and market information about the Eastham housing marketplace, to add commentary and opinion (as appropriate), and to keep it interesting. Download your copy of my November newsletter now. This year will be the 13th annual Wellfleet OysterFest. The weekend (and the village) will be filled with fun things for the whole family to do and see. There is a 5K run, a tennis tournament, arts & crafts, concerts, an old-fashioned spelling bee, a guided walk across Uncle Tim's Bridge, and the all-important oyster shucking contest. Go to http://www.wellfleetoysterfest.org/ for more information, a schedule of events and for instructions on how to shuck an oyster. This may be the last year that the festival will be held in the village. It has become 'too successful' and, some think, the crowds pose a danger to public safety. This year they have imposed $5 (1-day), or $8 (2-days) entry fees to cover the costs of additional safety precautions. Cape Cod Seashore - Closed for Business? I took a ride today to check out what is still open, and what's not, at the Seashore in Eastham. I found that both Coast Guard and Nauset Light Beaches are accessible from their respective parking lots. The bathhouses and restrooms are closed. 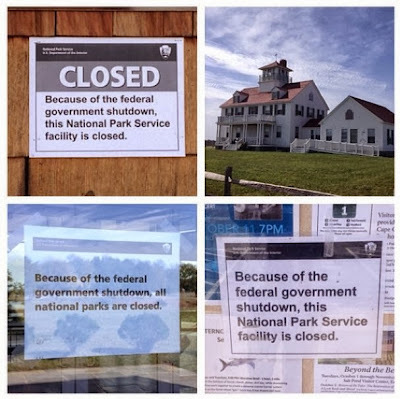 Likewise, the National Seashore Visitors' Center was locked up - closed, but the hiking & biking trails appear to be open. I didn't get to check out Fort Hill, but I'm pretty certain that the parking lot and trails are still open. Sadly, the Marconi Beach area, in Wellfleet, is totally closed. 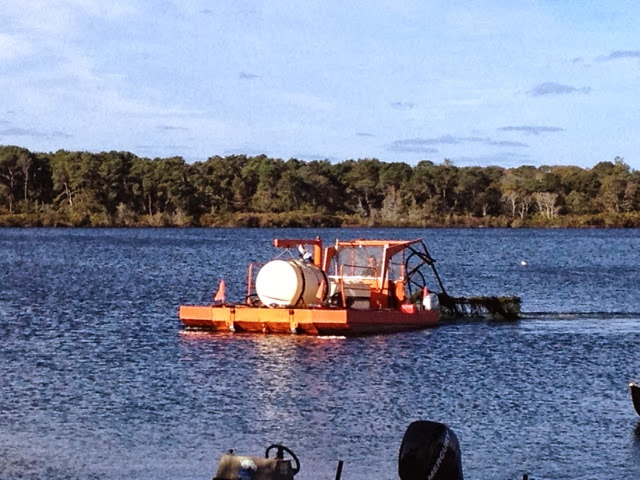 It looks like the alum treatment work is nearly done on Great Pond. This treatment should go a long way toward clearing up the pond's water, which has been slowly deteriorating due to higher levels of phosphorus that had been released into the pond. 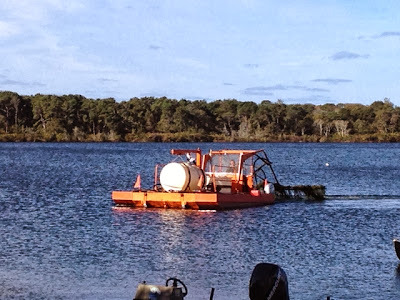 Last year Herring Pond was treated and the results have been amazing! 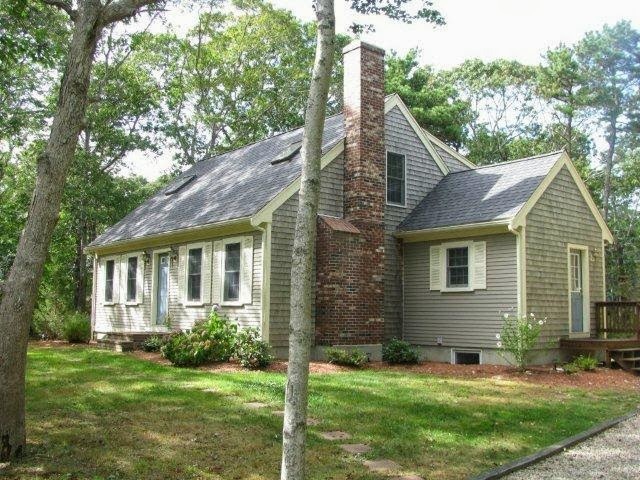 Eastham - Nicely cared-for and updated 4-bedroom Cape. Check out the new stainless kitchen, updated bathrooms, new floors, and ductless A/C. Large yards (front & rear), and nice patio area for your grilling and enjoyment. Your privacy is ensured by beautiful hedges. Listed at $369,000. For lots of photos, a Virtual Tour, and a map, go to http://80MassasoitRd.robertsheldon.com. 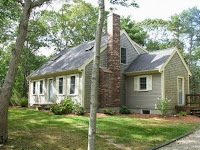 Eastham - This Bayside 4 bedroom, 2 bath Cape is a delight to see and enjoy! You will find a like-new home, with gleaming hardwood floors, a large kitchen, a large living room with a fireplace, 4 bedrooms (2 up, 2 down), 2 full baths, and central A/C (2013). The property is nicely landscaped with irrigation, a large deck, outdoor shower, and a gravel driveway. This house been a very popular rental property (9 wks in 2013, $18K gross) and is being sold as a turn-key rental with furnishings included (w/a few exclusions). Eastham Real Estate - September Update - Wow! Total September sales were approximately $9.0M - the average home sale price was $475K. The median sale price in September was $427K. There are currently 115 active single family listings in Eastham (up 3 from last month), with an average list price of $648K and a medium list price of $485K.